If you need advice on how to put together an outfit, you can't go wrong going to fashion blogger Alexis Barton of Same Chic Different Day for help. 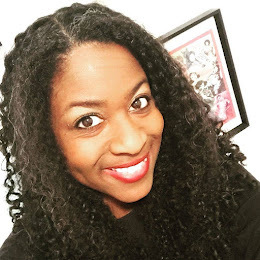 Earlier this year Birmingham Magazine selected her as one of the city's most beautiful people and in 2010 she was a finalist in the Birmingham Belle contest sponsored by the online fashion magazine MyScoop. For those of you who live in Birmingham, Barton is teaming up with Birmingham Magazine and the Birmingham Public Library to offer free holiday fashion advice. The event is called Fashion Friday and will be held this Friday, Dec. 7, at noon in the Arrington Auditorium of the Central branch of the Birmingham Public Library, 2100 Park Place. 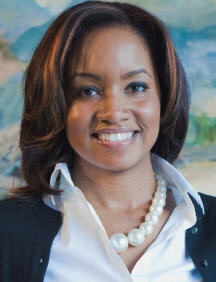 Expect to learn how to take your office attire from day to night and how to look great without breaking the bank. And you can finally learn the difference between cocktail, creative black tie and dressy casual. Barton, however, is a good person to turn to for blogging tips, too. 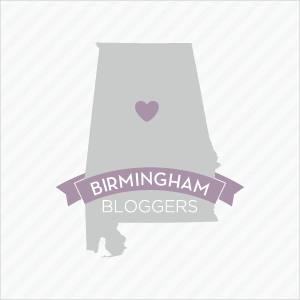 Her blog has only been around for 15 months and already has had the honor of being a finalist for best blog in Birmingham Magazine's annual Best of Birmingham contest. Barton was also once recognized as a top blogger for Skirt magazine. I had a chat with Barton recently about her upcoming event and her blogging success. How did you come up with the idea to partner with the library and Birmingham Magazine to have this event? It was actually the library's idea; Chanda Temple, BPL's Director of Public Relations, invited me to participate. I love reading. My first job was in a library. And I enjoy visiting the downtown branch frequently so I was happy to help. What's the biggest mistake you see people making when it comes to their holiday fashion choices? The biggest mistake people make in general when choosing what to wear is overthinking it. It can make a person talk herself into wearing something she should leave on the hanger. What inspired you to start a fashion blog? I needed a project to keep myself busy last summer, and decided to create an opportunity to use my creative writing and social media skills. Most writers are advised to "write what you know," and since I've been shopping forever and enjoy putting outfits together, I thought writing about style would be a natural fit. With so many fashion blogs around, what do you do to stand out? I really don't do anything in particular or intentionally to stand out. If anything, I think people connect with my "voice" and writing style. Your blog seems to have become pretty popular in a short time. How did you spread the word and build a following? Honestly, it has spread through word of mouth. When I began the blog, I really only thought my mother, sister-in-law and friends would read it; that it has caught on with others is a pleasant and welcome surprise. Do you have any advice for other bloggers out there hoping to make a name for themselves? Yes: don't focus on "making a name." If you focus on putting in the work necessary to make your product or your blog the best it can be, people will notice.